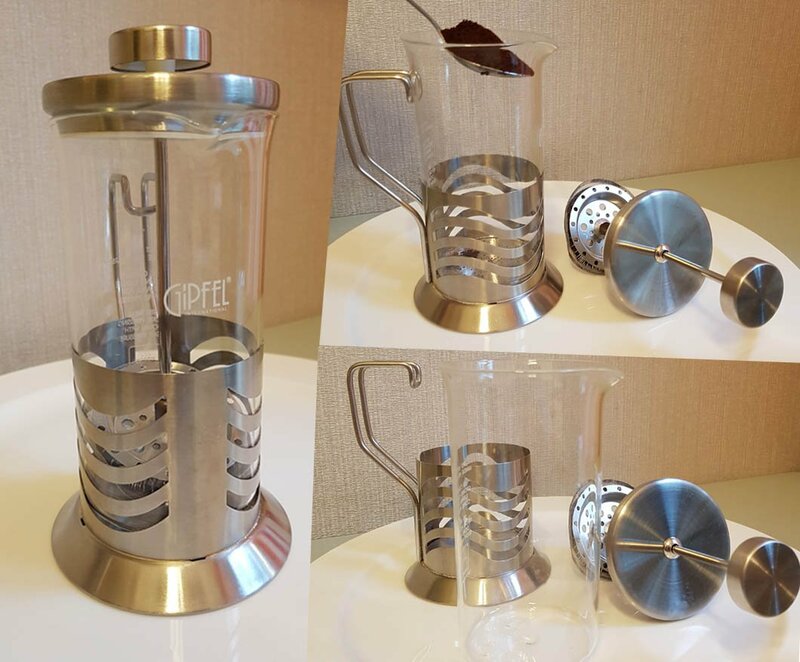 A French Press is another type of coffee brewer also known as: press pot, coffee press, plunger. Pour the water into a teapot. The amount of time it takes for the water to boil depends on the amount of water in the pot. Think about how much coarse ground coffee you want to use. It is suggested (by Starbucks) to use 2 tablespoons of ground grain per 6 ounce of water. However, it depends on how you like your drink. You may need a high quality grinder. Use only a burr grinder: a blade grinder will not work. 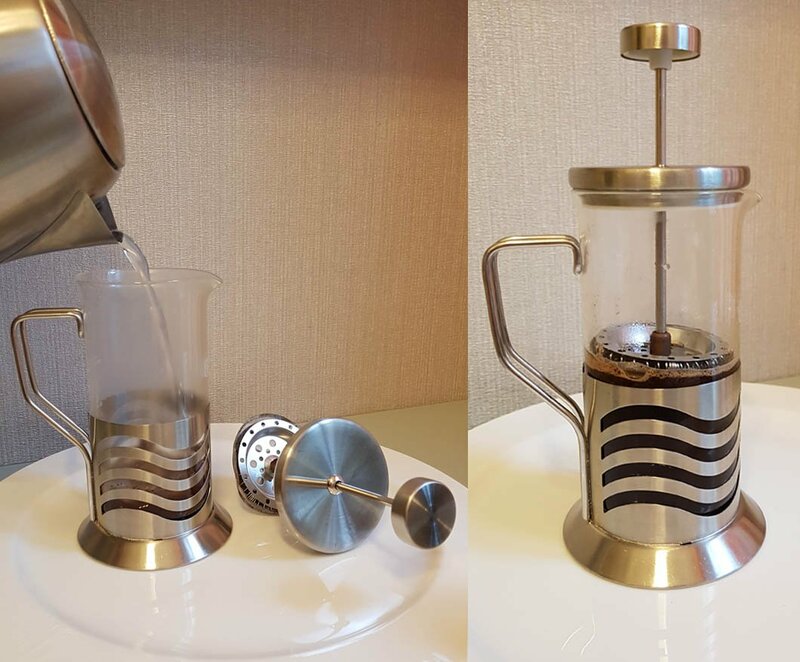 Remove the French Press plunger from the beaker. Using the measuring spoon, scoop the amount of coarse ground coffee you would like and put it into the French Press beaker. 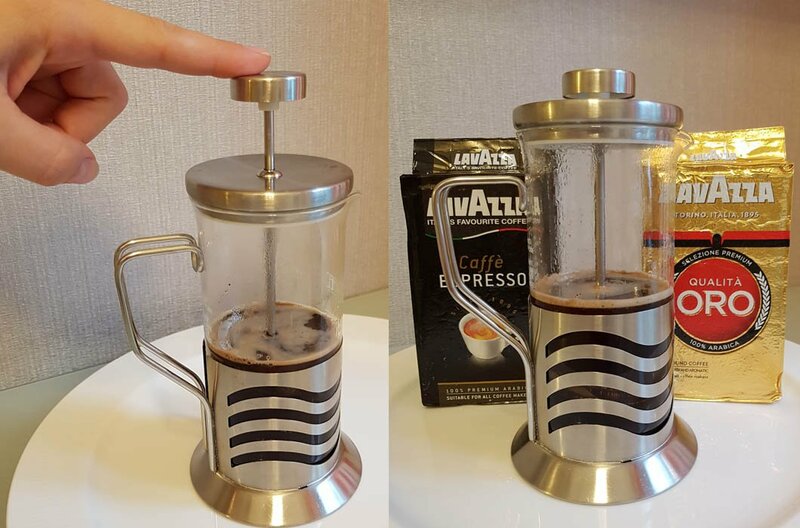 When the water is finished boiling, pour the hot water into the French Press breaker with the ground coffee already in it. Take the plunger and pull the rod until the filters are near the top. Put the plunger back onto the beaker. Wait at least 4 minutes. With one hand holding the beaker and the other holding the plunger knob, slowly push the plunger down until it can’t go any further. If you push too fast or hard, it may splash and burn you. 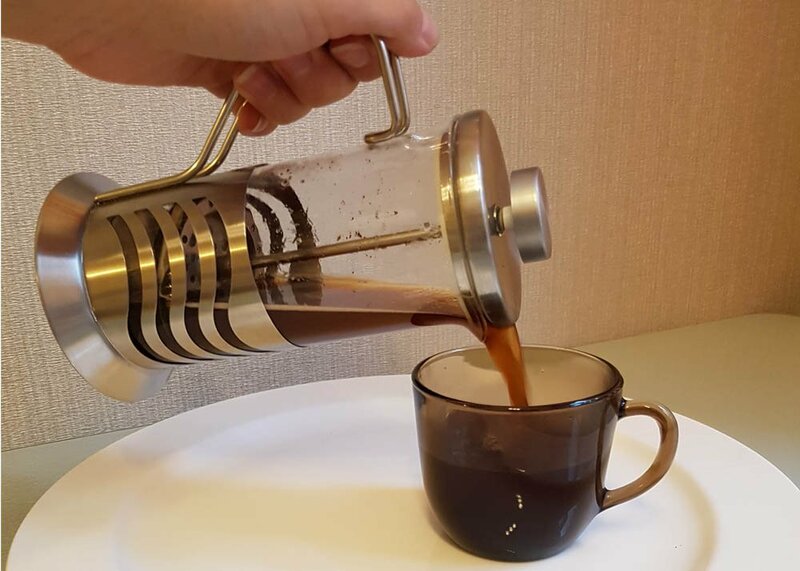 Slowly tilt the French Press and pour the coffee into your cup. Add creamer, sugar, milk, etc. to make the drink the way you want.